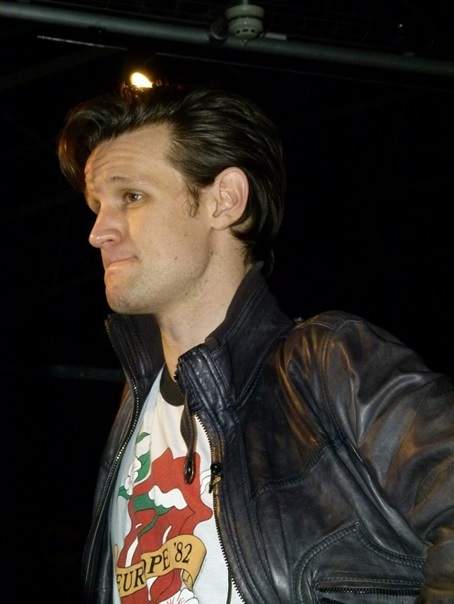 Sporting a cool leather jacket and Rolling Stones t-shirt, Matt Smith’s heading straight for me. He’s framed by Night Terrors’ Peg Dolls and that painting of Abigail from A Christmas Carol, and sidling across the rug from the Oval Office. Oh look, the Wooden Queen and King from The Doctor, the Widow, and the Wardrobe are just over there, and, as Matt greets me, I notice the Absorbaloff just next to them. Best not to mention him. 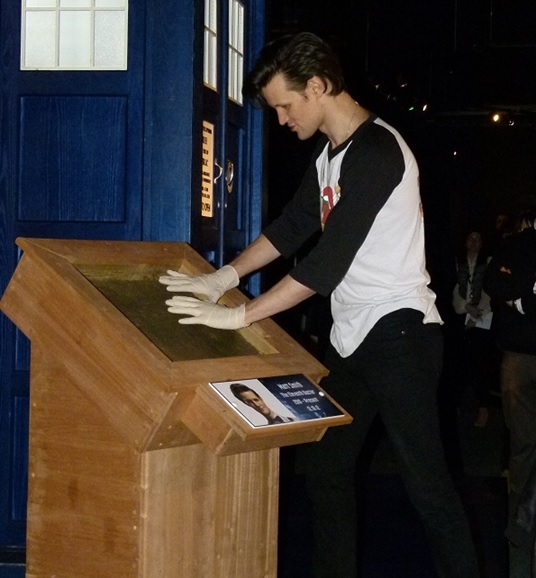 All this week, we’ve been looking at Cardiff’s Doctor Who Experience, including recollections of October 2012, Matt Smith’s first visit to the exhibition. Naturally, back then, he was still the current incarnation of the Time Lord, and his adventures alongside Clara Oswald (Jenna Coleman) were yet to even screen. 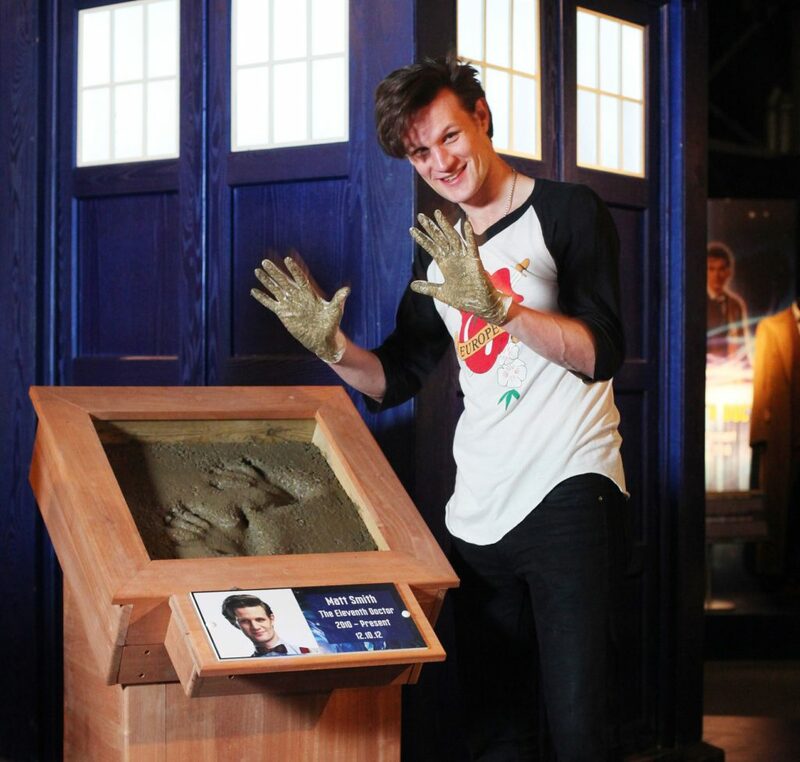 I was lucky enough to interview the Eleventh Doctor himself, in this Doctor Who Heaven. And it made my year. DWC: What do you think of the exhibition? MS: I think it’s fantastic! To have all these monsters – all these Doctor Who-related things – under one roof is an absolute joy. It’s fantastic. And I’m very proud to be part of a show that can put on an event like this. Have you seen any creatures that you haven’t faced but would like to? The Absorbaloff maybe? That’s actually the first one I’ve seen because I’ve literally only walked around this part of the Experience. So far! Because I came to talk to you guys, so, as yet, it’s unchartered territory! You always get asked about your favourite episode, but have you got any favourite scenes or lines? Oh, lots! I love the Amy and Rory scene, falling off a building in The Angels Take Manhattan; I love the revelation of Jenna’s character in the Dalek episode… I love The Eleventh Hour, when the Doctor meets Amelia Pond. That ‘fish fingers and custard’ scene is probably one of my favourites, I think. Be honest: do you still tuck into them? [Laughs] Still tuck into them, yeah – that’s it! Breakfast, lunch, and dinner! 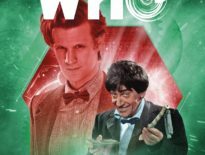 Have you got any wintery tales that you’d like to see given the Doctor Who spin, similar to A Christmas Carol? Like, sort of, remakes? That’s interesting, isn’t it? I was talking to someone the other day who said that quite a good Christmas special would be – and this is going to be shameful to admit – It’s A Wonderful Life. With a timey-wimey twist! But I’ve not seen it, so I don’t know. I’ve got to watch that movie this Christmas. I leave all that to Steven because he’s far cleverer than I am! 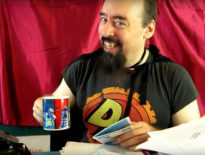 Do you ever want to write an episode? Yeah! Yeah – you know what? – I kind of would. But I’m not good enough to write an episode. I’m sure you are – I’m sure Steven would let you! No! Gosh, no. He’s very adamant that to be a writer on Who, you’ve got to have done a lot before. You know, because you’ve got 47 minutes and you’ve got to pack in a huge amount of narrative. And it’s not an easy thing to do and get right – and to get the Doctor’s voice bang on is difficult as well! And finally, what’s it like not having Doctor Who Confidential there on set with you? Oh, it’s a shame! Bring Confidential back, universe…! 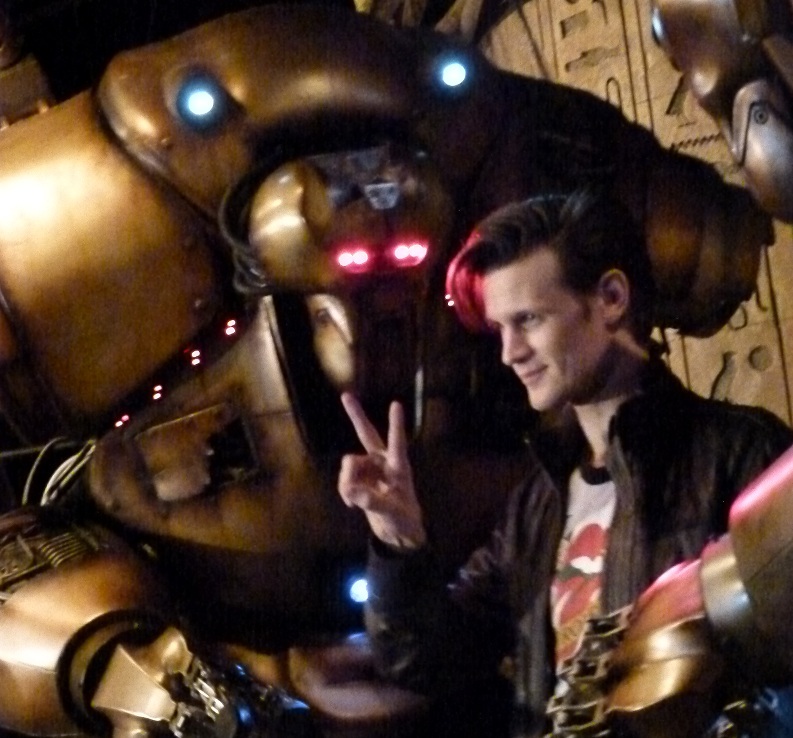 Massive thanks to Matt Smith, who’s a genuinely nice guy – and a truly fantastic Doctor. My Doctor, in fact.